Edens Garden | Ceramic Ultrasonic Diffuser in "Mauve Ombre"
Available in four modern and elegant designs, the Edens Garden Ceramic Ultrasonic Diffuser is a compact electrical device that infuses the air with an ultra-fine mist of essential oils. 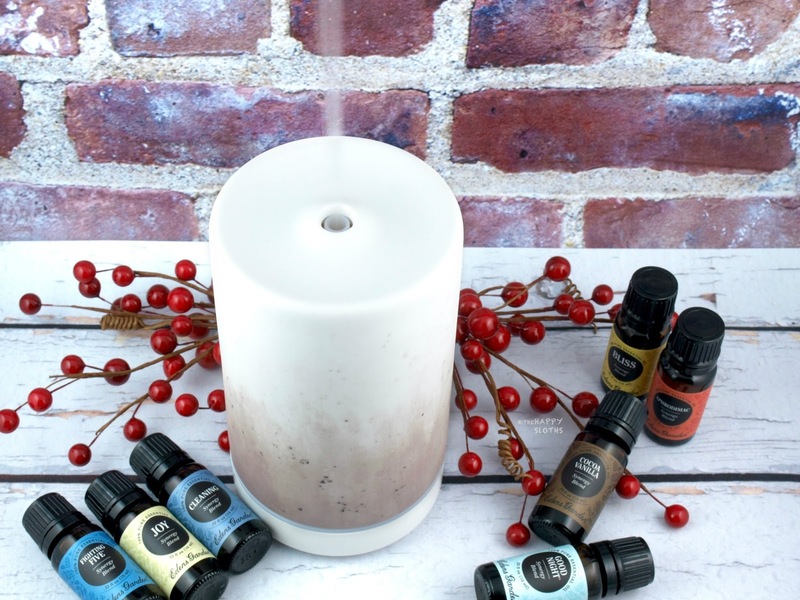 By emitting an ultrasonic pulse that turns water and essential oils into vapor, the diffuser not only purifies the air but enhances it with a gorgeous scent. The diffuser is made of a plastic base. The water tank holds 100ml of volume and it has a beautiful ceramic covering printed with an artsy ombre design. To use, simply fill the water chamber with 100ml of water and ten or so drops of your favorite essential oil blend. 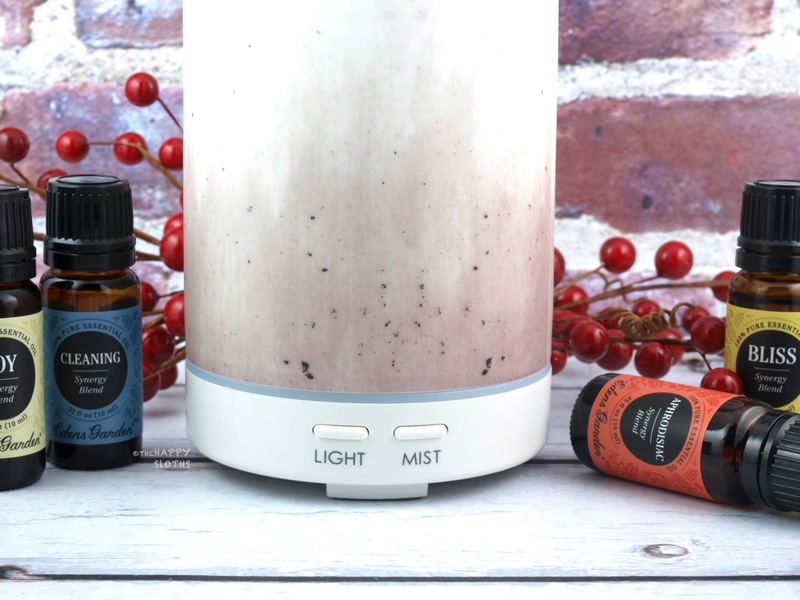 For the mist, the diffuser has two options: continuous (lasts about four to five hours) or intermittent (30 seconds on, 30 seconds off; lasts about six to eight hours). In addition to the misting option, the diffuser has a built-in light with two intensity levels. When lit, the pattern on the ceramic cover is illuminated with a warm glow. So if you want, the diffuser easily doubles as a nightlight. Because of its compact design, the Edens Garden Ceramic Ultrasonic Diffuser is suitable for smaller rooms at about 300 to 500 square feet in size. The ultrasonic action is very quiet so the diffuser can be used anytime during the day or night. When the water runs out, the diffuser will shut off automatically so it's perfectly safe for nighttime use. Overall, I'm very impressed with this device. This is my first ultrasonic diffuser not from Saje and given the cheaper price ($63 vs. $90), I didn't know what to expect. 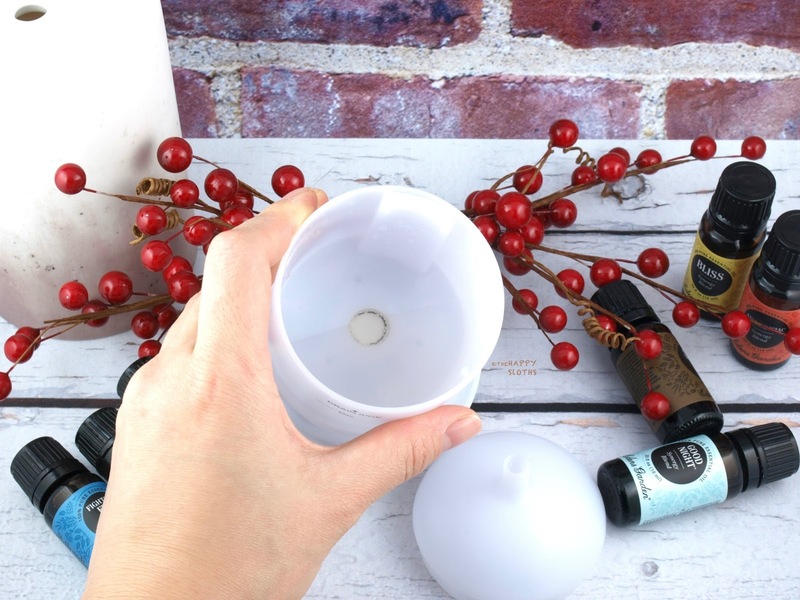 However, from both functionality to quality, the Edens Garden Ceramic Ultrasonic Diffuser has proven to be just as good as Saje, and so much more affordable. 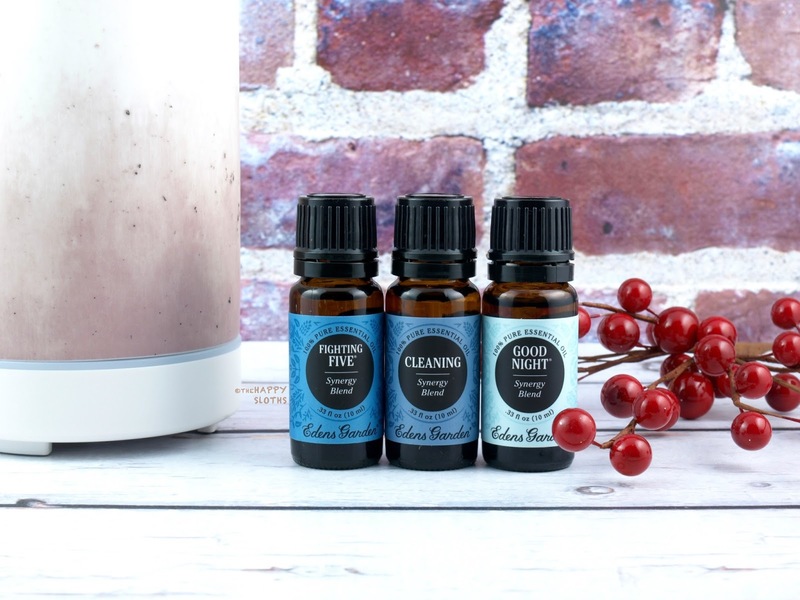 Fighting Five ($8.95 CAD for 10ml): An invigorating combination of lemon, cinnamon leaf, rosemary, clove, and eucalyptus, this is the perfect blend for banishing airborne bacteria during the winter months. Cleaning ($7.95 CAD for 10ml): Made with lavender, lemongrass, rosemary, and tea tree, this is a staple blend that smells fresh and cleansing. Thanks to the tea tree oil, the blend is also great for cleaning various home surfaces when mixed with water in a spray bottle. Good Night ($10.95 CAD for 10ml): My favorite so far, Good Night is a calming and cozy combination of lavender, sweet marjoram, chamomile, bergamot, ylang-ylang, sandalwood, lime, and vanilla. Whether you have trouble falling asleep or just want to set a nice ambiance for bedtime, this is the perfect blend to diffuse at night! Cocoa Vanilla ($38.08 CAD for 10ml): A unique absolute oil containing cocoa and vanilla, this is a deliciously sweet and yummy combo that smells just like chocolate. The blend can be used in a diffuser but it works even better when mixed into homemade sugar scrubs and scentless lotions. This one is definitely pricey but a little goes a long way. Aphrodisiac ($15.20 CAD for 10ml): With an alluring combination of lavender, sweet orange, litsea, copaiba, vetiver, clove, amyris, lime, ylang-ylang, patchouli, jasmine, and rose, this is a really lovely blend for those that prefer a more floral, less herbal fragrance. 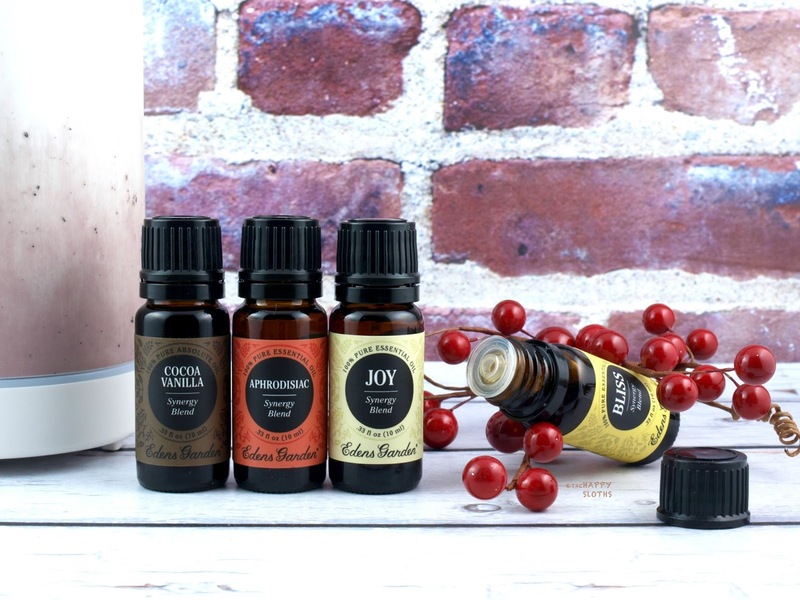 Joy ($12.65 CAD for 10ml): A cheery blend of sweet orange, lemon, tangerine, lime, lavender, litsea, damiana, jasmine, and vanilla, Joy has an uplifting citrus floral scent perfect for everyday use. Bliss ($13.92 CAD for 10ml): This one contains orange, clove, star anise, lemon myrtle, nutmeg, vanilla, ginger, cinnamon, and zdravets. The scent is sweet and spicy, great for the holiday and winter months. It's worth noting that although all the Synergy Blends are suitable for diffusing, they all have a plethora of other uses. For example, when mixed with a carrier oil (ex. jojoba oil, coconut oil), the essential oils can be applied directly on to the skin. To find out other ways of incorporating essential oils into your life, check out the Edens Garden guide on 150 Ways to Use Essential Oils. 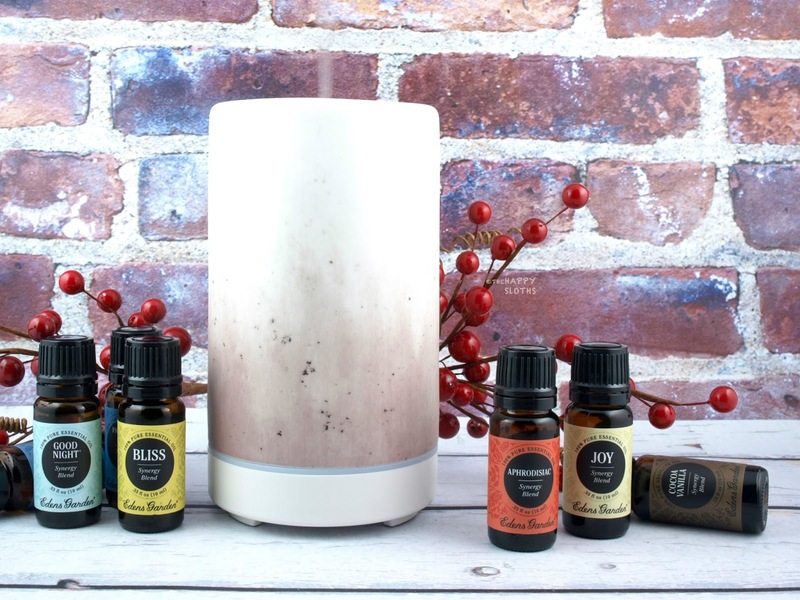 Are you a fan of essential oils and ultrasonic diffusers? Have you tried anything from Edens Garden? Share with me in the comments below!